I don’t understand breakfast skippers. I just don’t. I mean, I start looking forward to breakfast as I lay in bed the night before I’m going to eat it. In fact, somedays, I start planning the next day’s breakfast while I’m eating the current day’s breakfast! Perhaps I should join a support group. Breakfast is, hands down, my favorite meal of the day! And I can feel pretty good about that. 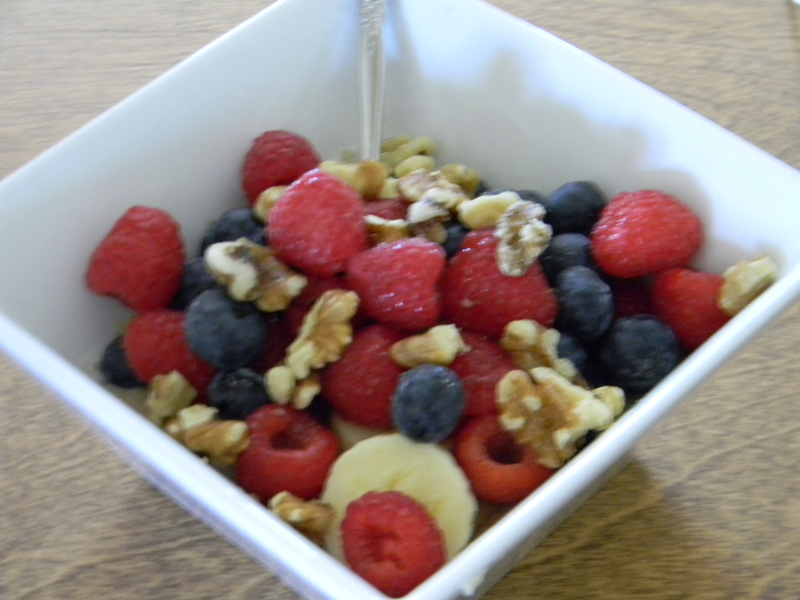 A healthy breakfast (notice I said healthy) is integral to optimal wellness. Not only are breakfast eaters more alert and more energetic than their non-breakfast eating counterparts, but they have better concentration as well. Breakfast eaters also have an easier time maintaining their weight. What’s there not to love about breakfast?! I have numerous “go to” breakfasts. I like a breakfast that fills me up without making me feel stuffed or comatose. This probably has a lot more to do with self control than what I choose to eat, however. The bottom line is, I really don’t want to think about food until lunch time and these breakfasts allow me to focus on my morning activities without being distracted by hunger pains or tempted by the not so healthy options in the teachers’ lounge! 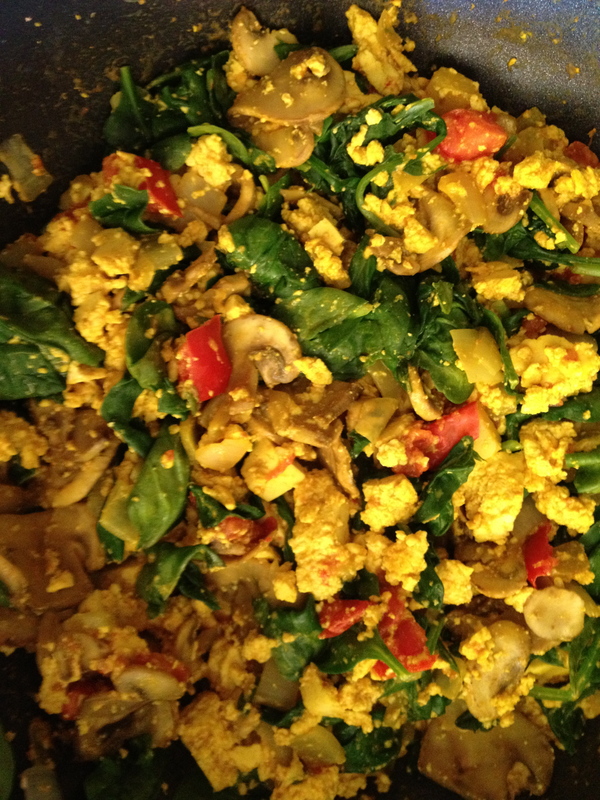 Tofu Scramble! Just saute veggies of choice, crumble in a block of extra firm tofu, sprinkle with nutritional yeast, tumeric and sea salt. Whole Grain Breakfast Bowls: Cook whole grain of choice (amaranth, wheat berries, quinoa), add milk (coconut milk is awesome with this), and top with fruit, nuts and spices. 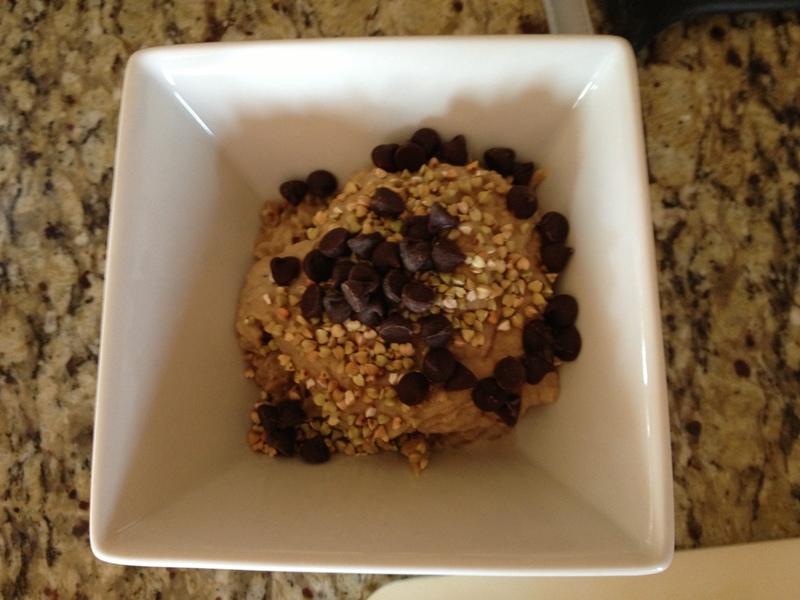 Chocolate Covered Katie’s Peanut Butter Breakfast Pudding I throw buckwheat and carob chips on top! 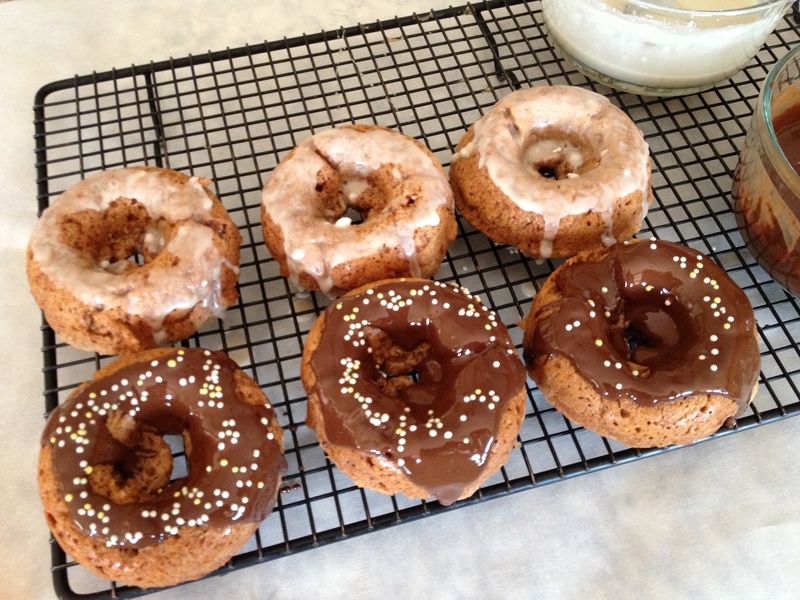 Chocolate Covered Katie’s Homemade Krispy Kreme Doughnuts A healthy donut? You betcha! At least comparatively. Oh She Glows Creamy PB + J Oatmeal Parfait deconstructed. 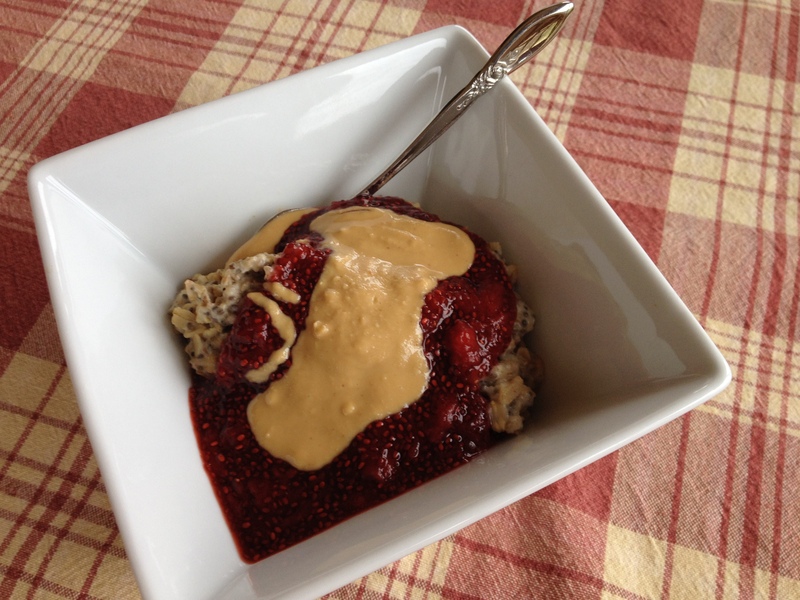 I even make my own PB and chia seed jam! Thank you! My short term goal is to make my picture taking skills equal the yumminess factor of the food! I am a work in progress.